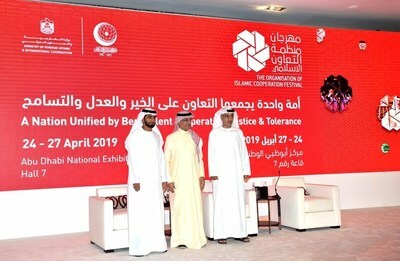 ABU DHABI, UAE, April 17, 2019 /PRNewswire/ -- The 2nd Organisation of Islamic Cooperation Festival, held under the patronage of His Excellency Sheikh Nahyan bin Mubarak Al Nahyan, UAE Minister of Tolerance, will be a four-day celebration of Islam and a platform for Muslim countries from around the world to strengthen collaboration and form new, lasting bonds, say event organisers, the Organisation of Islamic Cooperation (OIC) in collaboration with the UAE Ministry of Foreign Affairs (MOFA). During the official launch press conference, festival representatives outlined how the four-day event, which will run from 24-27 April at the Abu Dhabi National Exhibition Centre (ADNEC), serves as a vehicle to celebrate the underlying positivity of Islam and demonstrate the work of the Organisation in cultivating cultural diversity through essential elements such as arts and music. It will also shine a light on how Muslims worldwide can preserve their religious principles while adapting to different cultures. The festival will unite nations from across the Muslim world, providing a tailored platform to display their cultures and traditions in line with Islam and its foundations of tolerance, unity and harmony. Organisers stressed how the festival, which runs under the theme 'One Nation Unified by Benevolent Cooperation, Justice & Tolerance', will enable participating countries and the OIC delegation to meet and discuss future collaboration and partnerships to benefit the 1.5 billion Muslims they serve under the umbrella of the Organisation. "The festival is a gateway for Muslims around the world to gain invaluable insight into the diversity of their faith through the range of different cultures and traditions of nations within our organisation while remaining true to the religious values of Islam. In addition, it serves as a crucial educative and informative platform for non-Muslims to learn about our faith," said Mr. Youssef Aldobeay, Advisor of H.E the Secretary General for Political Affairs, Elected Assistant Secretary General for Political Affairs and OIC General Secretariat. "Furthermore, the four days will give participating countries a great opportunity to unite and engage in inter-faith, cross-country dialogue on ways in which they can collaborate and form new bonds for the benefit of their nations, their people and the organisation." Throughout the four days, the festival, which coincides with the UAE 'Year of Tolerance', will address a range of topics, including tolerance as a foundation in Islam, the role of youth in spreading the culture of tolerance, and the importance of tolerance and moderation in worship. "The festival aims to enrich the global awareness of Islamic culture with the participation of many Islamic countries by providing a platform designed to highlight cultures, traditions and values of Islamic civilisation. 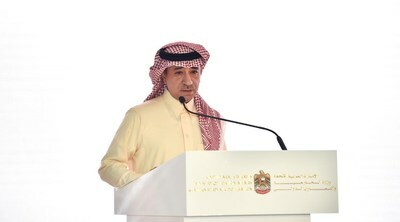 The event is held in the UAE 'Year of Tolerance' to highlight the great values and principles of Islam and to coincide with the 50th anniversary of the Organisation of Islamic Cooperation," said His Excellency Mohammed Saif Helal Al Shehhi, Director of the United Nations Administration, MOFA. "The festival also represents a perfect opportunity to contribute to the development of a deeper understanding of Islam as a way of life," added Al Shehhi. Organisers revealed that the festival will feature a main stage area where Islamic scholars and thought leaders will present lectures and workshops that highlight different aspects of Islamic culture and offer a non-traditional image of Islam that transcends doctrinal misconceptions and shape a more comprehensive understanding of Islam as a way of life. The main stage will also host live performances by the Abu Dhabi Folklore Group, showcasing traditional UAE arts and culture; the Alexandria Folklore Dance Troupe, from Egypt, and a display of Emirati Malid – a traditional Emirati art that embodies the UAE's culture heritage. Interactive areas such as a dedicated calligraphy sector display traditional and modern Islamic calligraphy, and a children's entertainment area featuring storytelling be renowned children's authors, highlight the diverse range of content on offer for festival visitors. Another key feature of the festival will be the strategic positioning of the Palestine pavilion at the heart of the show, emphasising the State's importance to the Islamic world and its vital status within Islamic identity. The festival will celebrate Palestinian culture through mediums such as art and short films. The Festival, which will be held in Hall 7 at ADNEC, is open from 2pm to 8pm on 24 April, 12pm to 8pm on 25 and 27 April, and from 4pm to 10pm on 26 April. Entry is free to all. Note to Editors: OIC was founded in 1969, and includes 57 members countries from four continents, being the second largest international organisation after the United Nations, representing an umbrella of 1.5 billion Muslims around the world to express their views, protect their interests and enhance communication with the world.